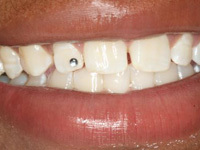 Tooth Jewelry…What is a dental jewel. Dental jewel is a special decoration, for example diamond or another stone, which can be attached to your teeth without consequences. During the consultation with your beautician , you will choose the jewel and the tooth, to which the jewel should be attached. 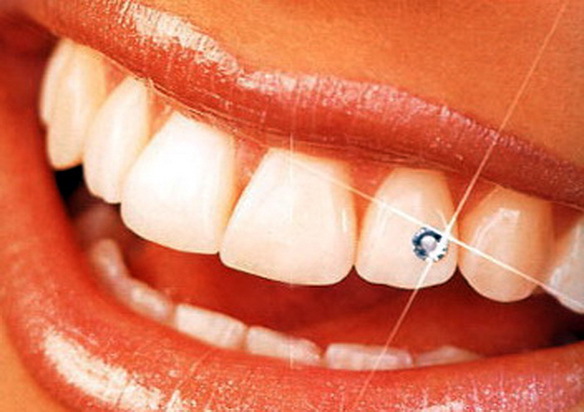 Tthe jewel is stuck on the tooth with an adhesive substance, similar to the substance used to fix the retainer. This process does not damage the enamel, which is a big advantage. The beautician provides you with all instructions concerning the care of dental jewels. Most important is perfect mouth hygiene. To really be glamorous, tantalize your teeth with tooth jewelry! I use Swarovski crystals, real 22k white gold (needs to be ordered) and 24k yellow gold jewels (needs to be ordered), designed specifically for dental use. Unlike earlier methods which involved drilling and setting the jewel into the tooth, a little bit of dental composite material will attach the crystal onto the teeth and can last from month up to a year or longer. My warranty is 1 month , if it’s fall off i will put one for FREE!